Just as a friendly reminder - since it's the season for snow! - we wanted to remind you of our inclement weather policy. 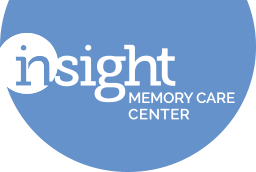 Insight Memory Care Center follows Fairfax County Public Schools for weather related closures.When Fairfax County schools are closed because of inclement weather, Insight Memory Care Center will be closed. However, if Fairfax County schools have a late opening, IMCC will open on time. If a severe storm develops during the Center's hours, the Executive Director may decide to close early, in which case you will be notified to pick up your family member. We still encourage you to check school closure announcements. School closings are broadcasted on all major TV networks, radio, and on the Fairfax County Public School website, at fcps.edu. Additionally, you can sign up for alerts through Fairfax County Public Schools to be notified of any closings directly by email or text message.